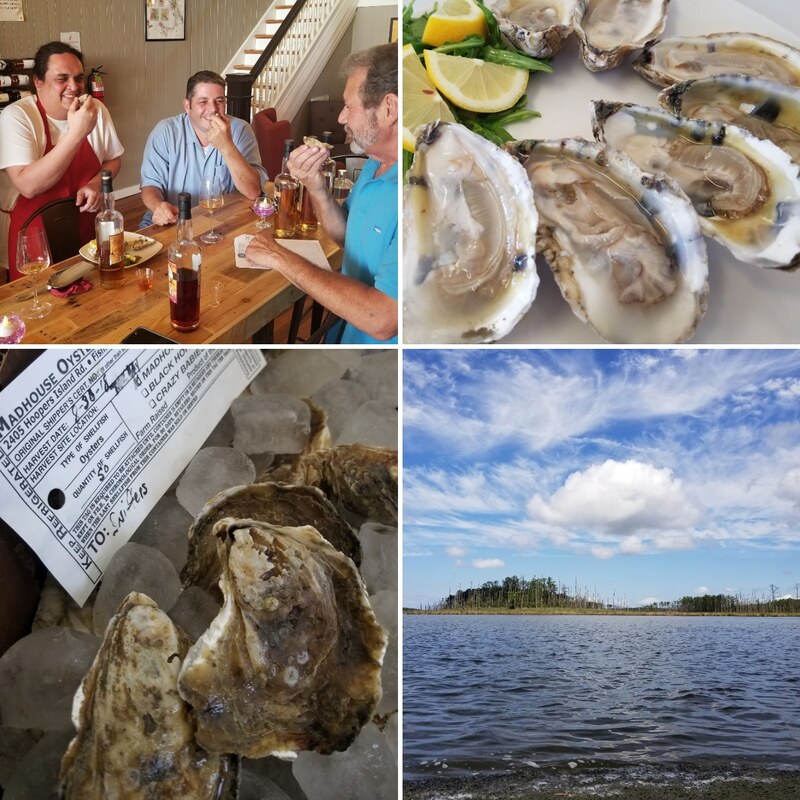 Town & Farm Oyster Tasting & Pairing Tour! Travel through time & taste experiencing an integral part of our heritage with this fascinating mollusk. Join our journey from Historic Downtown Cambridge to Blackwater to Hoopers Island & back. …. We’ll begin our tasting within a local purveyors historical space; starting your introduction with a quick bit of history to orient yourself in this unique region, before we drive out together through Blackwater’s hauntingly beautiful landscape towards the Islands. Upon our arrival on Hoopers Island we’ll be greeted by our Oyster Farmers for a once in a lifetime tour experience with individuals who have over four generations of knowledge behind them, mixed in with some innovative technologies from newbies to stoke the fires of passion for everything oyster! … This is a time for you to soak in information, ask questions, or zone out in a tranquil bliss. During your return tasting and pairing we will review proper oyster shelling techniques and tools and eccentric accessories. Learn about some taste profiles, and unique eating histories to help you prepare your very own winter holiday meals and traditions with this tasty mollusk! Meeting location/address & directions with tasting menu forwarded prior to tasting..
**As an added bonus: we’ll include references to historical landmarks and noteworthy spots to visit later in the afternoon on your own – and equally suited for a full Sunday day trip through Dorchester County. Photographers, wildlife, and historical junkies will be satiated! …Yep. This Experience will be held rain or shine, so please book carefully! – Heck the weirder the weather the more amazing the landscape looks, and the more you’ll be able to brag about your trek to this land that time forgot!